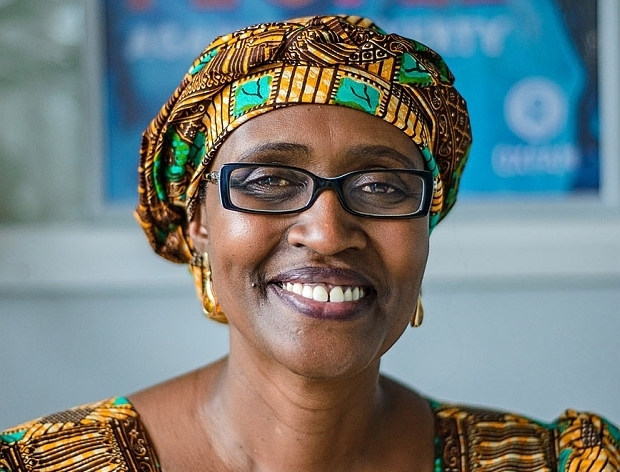 MBARARA – The Executive Director of Oxfam International, Ms Winnie Byanyima, has said that the opposition cannot dislodge the ruling party from power with their current divisions. Speaking at a thanksgiving held their home in Nyamitanga Division, Mbarara Municipality on Saturday, Ms Byanyima, who is also the wife of opposition leader Dr Kiiza Besigye, said that the current divisions show that the opposition does not know what it wants. “I am sorry about the divisions in opposition, I’m really sad; if we can come together and look for opportunities for our people; we don’t need to divide ourselves and lose opportunities, lets come together,” she said at the function that also coincided with her 60th birthday. “I am here for unity of our people; I’m calling us to overcome our differences. Leave the small world of ‘I’m this religion; I ‘m this tribe; think nationally and beyond,” Ms Byanyima said at the function that was attended by several leaders, among them Kampala Lord Mayor Erias Lukwago. The thanksgiving was preceded by mass led by Msgr John Barugahare. Ms Byanyima lashed at those who support the ruling party without demanding for better services such as jobs. “What hurts me and I lose to sleep is having educated people who don’t have jobs. In UK and America, the President gives report on jobs created monthly. Do we ask ours? What we do is clapping and giving them more votes,” Ms Byanyima said. done wrong against you,” Ms Byanyima said. He hailed Ms Byanyima for bringing up their son Anselm single-handedly. Dr Besigye said he lived with his son when he was in exile in South African for only one month, and learnt how tough it is to raise a child as a single parent. He was three years old then and he is now 19 years. “I have experience of what single parenting means for the one month I did it. That’s why I thank Winnie for all these years (she has looked after him),” Dr Besigye said.